FatGirl Speaks: FatGirl Speaks is a size-positive fat activist event in Portland, Oregon. Founded on progressive feminist principles of size positivity and the promotion of natural body diversity, FatGirl Speaks is a show which seeks to energize, empower, uplift and celebrate women of size and our allies! Whether you identify as fat, chubby, chunky, rubinesque, zaftig, or somewhere in between, FatGirl Speaks is a celebration of YOU! The National Women’s Health Network was founded in 1975 to give women a greater voice within the healthcare system. NWHN is a membership-based organization supported by 8,000 individuals and organizations nationwide. We do not accept financial support from pharmaceutical companies, tobacco companies or medical device manufacturers. Women In Need, Inc. (WIN), founded in 1983, today serves over 8,500 people including 5,000 children who are homeless and disadvantaged. We strive to restore dignity, promote independence and provide stable housing to vulnerable families who face major obstacles that threaten to destroy their lives. When families find themselves without options, we provide them with housing, skills, knowledge, understanding and support. Warrior Girl Music based in Los Angeles, CA, is a creative arts company that is dedicated to unique artistic creations with a diverse blend of music, art and language – focusing on music and artistic development, a music production house, a record label, a music publishing and supervision arm and a promotions division. Also, a multimedia and art division, a book publishing arm and special event production. 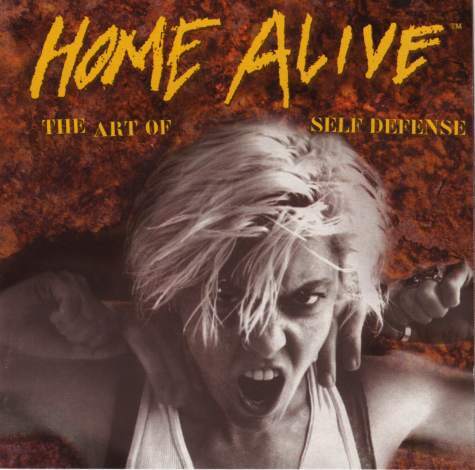 Home Alive is a Seattle based anti-violence non-profit organization that offers affordable self-defense classes and provides public education and awareness. We believe violence prevention is a community responsibility as well as an individual issue. Our work in self-defense encourages everyone to recognize their entitlement to the basic human right to live free from violence and hate. Our goal is to build a cultural and social movement that puts violence in a context of political, economic and social oppression, and frames safety as a human right. Girls For A Change is a national organization that empowers girls to create social change. They invite young women to design, lead, fund and implement social change projects that tackle issues girls face in their own neighborhoods. GFC provides the tools, resources, partnerships and support girls need to gain the voice, ability, and problem-solving capacity to realize their full potential. We welcome and serve all girls and focus our efforts on girls who live in low income communities. BlogHer is a community for women who blog. BlogHer’s mission is to create opportunities for women who blog to pursue exposure, education, community and economic empowerment. Today BlogHer provides the number-one community for and guide to blogs by women, reaching more than eight million women each month. The International Alliance for Women in Music builds awareness of women’s contributions to musical life through its publications, website, international competitions, conferences, concert promotion, and presentation, and through its support of entrepreneurial and publishing activities, scholarly research and publications, broadcasts, educational initiatives, and advocacy work. 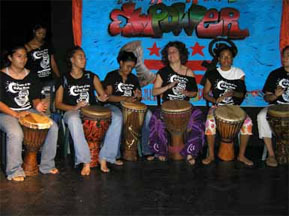 Young Women’s Drumming Empowerment Project (YWDEP), based in Washington D.C., strives to create a safe space for young women to build unity with one another, and to fearlessly express their authentic selves through drumming, spoken word poetry, song, movement and performance. Women in Music is a dynamic group of music industry professionals working together to support, cultivate and recognize the talents of women in our field. Through educational seminars, panels, networking events, showcases, our Touchstone Awards, and other gala events, we provide camaraderie and tools for advancement to hundreds of members at all stages of their careers.